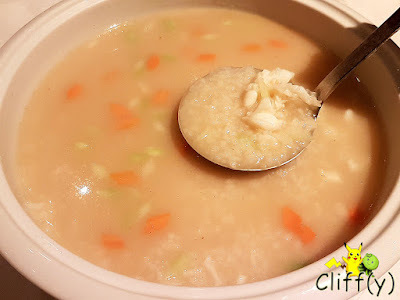 Fancy a bowl of rice in lobster broth? Housed inside Copthorne King's Hotel, Tien Court is an elegant Chinese restaurant helmed by the Taiwan-born celebrity chef Ho Tien Tsai. 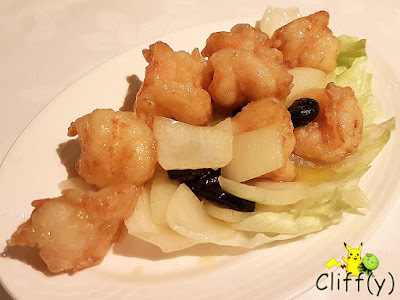 It serves Cantonese cuisine, along with a selection of Sichuan specialties. 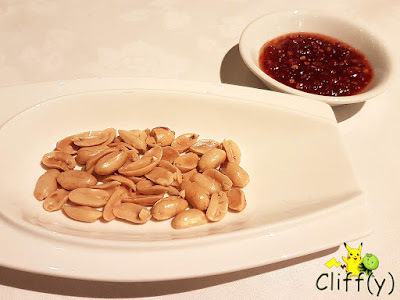 The salted peanuts cost a whooping S$3.50. I don't think there's anything else that I need to say about them. The chili was of medium spiciness. 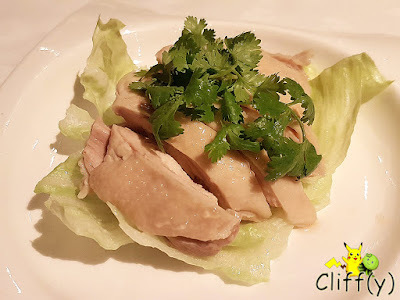 The cold appetiser dish did whet my appetite, thanks to the fragrant rice wine that was used as a marinade that brought out the natural sweetness of the chicken. On top of that, the white meat was tender and the skin attached was enjoyably gelatinous. 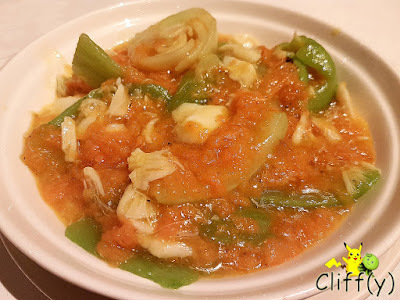 Upon seeing the name of the dish on the menu, My BFFs and I decided to give this seemingly intriguing vegetable dish a try. There was quite a myriad of flavours in the mix of mustard plants, mashed carrots and crab meat. A tad sweet and a tad bitter, the dish would go well with plain rice, methinks. As one of the recommended dishes, the soupy rice dish was certainly palatable, though not something I'd highly rave about. As it was only seasoned lightly, I could taste the sweetness of the lobster. Diced carrots and chopped spring onions made the dish merrier. The medium size feeds 3-4 pax. We ordered two bowls of cream of almond to share among the three of us. I felt that the almond cream could be more aromatic, but it was delightfully velvety. 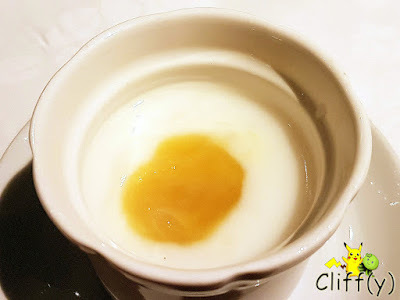 The sweet silken pumpkin added another dimension to the texture and taste of the dessert dish that had three sunken gingko nuts. Despite a small setback the restaurant experienced back in 2014, having its licence suspended for two weeks by the National Environment Agency, Tien Court has certainly taken steps to improve further. To date, it's still a popular restaurant among local families. 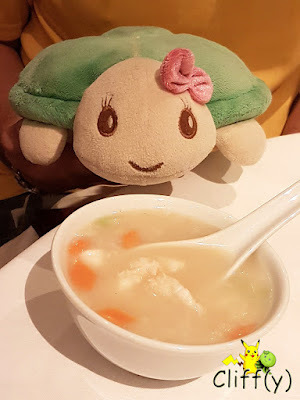 Pika's advice: A popular signature dish that I didn't manage to taste is the Wok-Fried Fine Rice Vermicelli with Stewed Pig's Trotter. You may want to give it a try.